2016-17 SoCon Player of the Year Devin Sibley. Photo courtesy of Furman. The Bob Richey era for Furman men's basketball begins Friday night when the Paladins host Bob Jones in the 2017-18 season opener. For the first time in nearly 40 years, a new Furman men's basketball coach will be inheriting a program that's coming off a very successful season. After guiding the Paladins to a share of their first Southern Conference regular season championship in 26 years last season, Niko Medved left to become the head coach at Drake. Prior to Medved, the last Furman men's basketball coach who left to become head coach at another Division I school was Joe Williams. After five NCAA Tournament appearances in eight seasons at Furman, Williams left in 1978 to coach Florida State. Richey, who's been an assistant for the past six seasons, takes over the head coaching duties of a team that returns four of five starters. That includes 2016-17 SoCon Player of the Year Devin Sibley, who's the preseason pick to win it again this year. With those numbers no doubt in mind, the SoCon media tabbed Furman as the No. 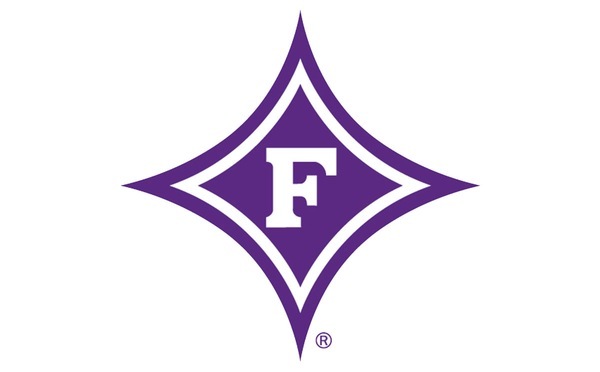 1 team in the SoCon preseason poll, while the SoCon coaches picked the Paladins to finish third. Lofty expectations are being taken in stride by Richey as he enters his debut as a collegiate head coach. "We can't run from it or hide it. It's what we've built. We've just got to figure out ways to get better every single day." That mindset was evident as Richey helped Medved completely turn around the program the last four years. The Paladins' record improved every year under Medved, culminating in a 23-12 overall record and a 14-4 mark in the SoCon last season. Furman had a 10-game win streak, tied the school's single-season record for wins, and reached the semifinals of the CIT last season. For the Paladins to continue to improve the program this year, Sibley should be a big part of it. 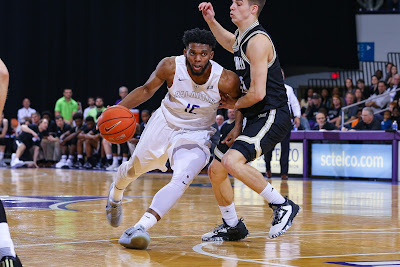 Sibley followed up Stephen Croone's SoCon Player of the Year honor in 2016, by giving Furman back-to-back winners last season. Sibley's on this year's Lou Henson Award Preseason Watch List. That award is presented to the top mid-major player in the nation. Sibley averaged 17.7 points per game last season. He's joined in the backcourt by fellow seniors John Davis III (8.9 ppg) and Daniel Fowler (10.9 points 4.3 rebounds, 3.7 assists per game). Fowler and Sibley each made the preseason All-SoCon team. "I was fortunate enough to be the primary recruiter of Devin out of high school and then when he got here, I was his position coach. Now I get to coach him as the head coach, so I've kind of been through every phase with him," Richey said. "It's been really rewarding to see his maturity, his development and his commitment. ... He never thinks he's doing anything good enough, which is why he's a great player." The biggest departure, literally and figuratively, from last season in Kris Acox. Acox broke the school record for field goal percentage last season, shooting 62.8 percent. He finished as the all-time leader in field goal percentage for a career at 61.3 percent and scored 1,051 career points. Junior Matt Rafferty looks to fill that void in the post after coming back from back surgery that cut his 2016-17 season short. He has a fully clean bill of health entering this season. In 50 career games, including 30 starts, Rafferty's averaged 7.8 points and 6.3 rebounds per game. All 10 SoCon teams kick off the season Friday. Some of the differences in the preseason polls, such as Mercer being picked to win the league by coaches and finish sixth by the media, indicate that it could be a wildly unpredictable and entertaining season. "It's so even across the board. A lot of times, it's not about who is the best team. It's about who plays the best on that given night," Richey said. "They've got Citadel picked eighth, but there's not a coach in our league who's going to feel like playing those guys this year. ... (Western Carolina) Coach (Larry) Hunter has coached probably more than anybody in the league, but they're supposed to be the ninth-best team. It's not like you're just going to go up to Cullowhee and walk out with a W.
"Every single night is going to be a war. It always is." Friday's tip-off at Timmons Arena is set for 7 p.m.
Mike Bothwell, Jaylon Pugh, Jalen Slawson and Andrew Taylor signed with Furman on Wednesday. Bothwell is a 6-foot-3 guard from Willoughby, Ohio, who averaged 21 points, 7.6 rebounds and 3.9 assists per game in leading Cornerstone Christian Academy to a state title last season. Pugh is a 6-1 guard from Cartersville, Ga. who's scored 1,247 points entering his senior year at Cartersville High. Slawson is a 6-7 forward from Pinewood Prep in Summerville, who's averaged 15.3 points, 6.4 rebounds and 2.3 blocks per game. Taylor is a 6-2 guard from Corbin, Ky. Entering his final season at Corbin High, which also produced Furman legend Frank Selvy, Taylor has scored more than 2,000 points in his career. He's averaged 29.5 points, 11.5 rebounds and 5.5 assists per game.